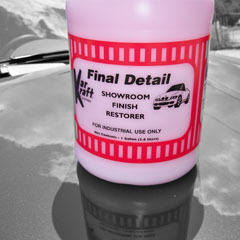 A quick and easy to apply detail product. Spray on and wipe off for a deep gloss and lasting protection. Ideal for showroom touchup. Silicone fortified.